To remain in good standing with the Honors Program, students must meet the criteria listed below. Ordinarily, students not meeting these requirements will have one semester after falling below the standards to comply. In special cases, as indicated below, the Honors Program Director will regularly assess the standing of students who make significant progress toward compliance. Students who remain in noncompliance with no progress after one semester will be suspended from the program and will have to reapply for Honors Program admission. Students must complete at least three hours of Honors credit every other semester. Students not meeting this criterion may request a waiver from the Honors Program Director to remain in the program. The Director may grant such a waiver in extenuating circumstances. Complete a minimum of 21 hours of credit in Honors courses. Additionally, these 21 hours must include at least two 3 or 4-credit-hour Honors Special Topics seminars at the 300-level or higher, and an Honors section of LA 478. 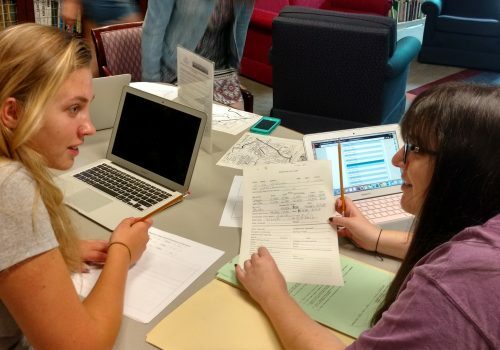 Readings in Honors courses and Honors Undergraduate Research may count toward the 21 hours, as can study abroad courses at the 300-level or higher. More information about getting credit for study abroad courses can be found in the tab below or by visiting the Honors office. Achieve an overall GPA of at leat 3.25 and a GPA for Honors courses of at least 3.5. Successfully complete a service-learning project as part of the Honors section of LA 478. Centered on civic engagement and culminating in a service-learning experience, Honors LA 478 will bring together students from all disciplines for research, discussion, and group projects dealing with diversity, equity, and inclusion. Important registration information: Students wanting to enroll in Honors LA 478 must contact the Honors Program director no later than the end of pre-registration of the semester prior to the one in which the student plans to enroll in the course. Demand for Honors LA 478 is always high, and students are encouraged to plan far in advance. The Honors Scholar designation recognizes graduating students who do not meet the rigorous conditions required for Distinction as a University Scholar but who still show sustained involvement with and contribution to the program. Unlike Distinction, Recognition as an Honors Scholar will not appear on a student’s official university transcript. Rather, students will receive a certificate acknowledging their achievements, and the honor will be recorded officially in the Honors Program’s records. To receive Recognition as an Honors Scholar, students must complete at least 12 hours of Honors coursework at UNC Asheville, which must include at least one 3- or 4-hour Honors Special Topics seminar and an Honors section of LA 478. They must also maintain an overall GPA of at least 3.25 and a GPA of at least 3.5 in Honors coursework.